Without sacrificing good taste, area rugs are joining the list of vegan goods. No animal products or byproducts used here. Chaps, which Kaleen launched at the October High Point Market, is a collection of replica cowhides handmade in India of viscose and wool. “No cowhides were used in the making of this product,” the company emphasized. Collection encompasses textured machine-woven rugs made of UV-treated polypropylene in a variety of spotted skin patterns. Capel Rugs’ Luxe Shag collection of animal looks presents “a new take on shags” with its longer acrylic/polyester fibers. Plus, they “can even be cut into a pelt shape,” according to Cameron Capel, president of sales and marketing. 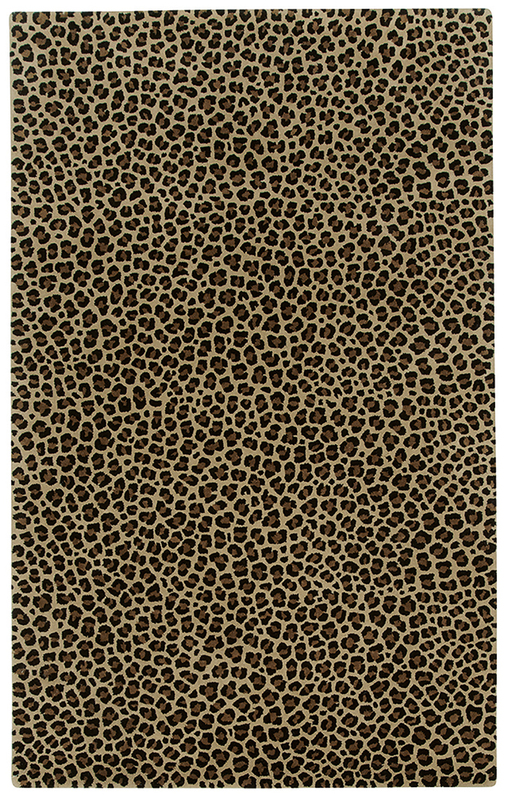 The company has several other species of animal-friendly rugs, like the machine-made Leopard that is based on a textile design by Kevin O’Brien, a licensee of Capel Rugs for the past eight years. 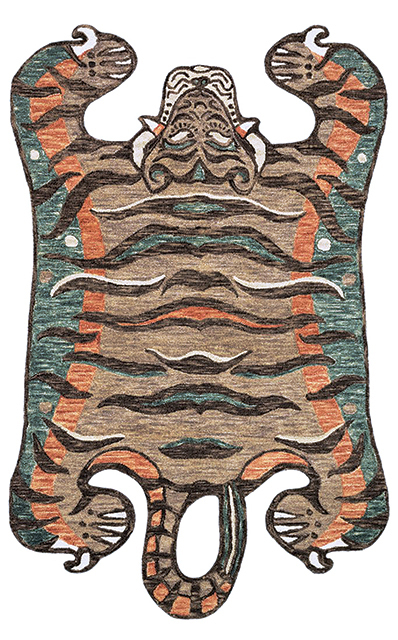 For her latest introduction with Loloi Rugs, designer Justina Blakeney of “Jungalow” fame dreamed up a contemporary faux-tiger series in both native and exotic colorways. Ironically named Feroz, which means fierce in Spanish, this tame version of animal skin is hand-loomed by artisans in India and then feline formed. Blakeney said the idea for Feroz came from an antique Tibetan prayer rug found at a flea market. 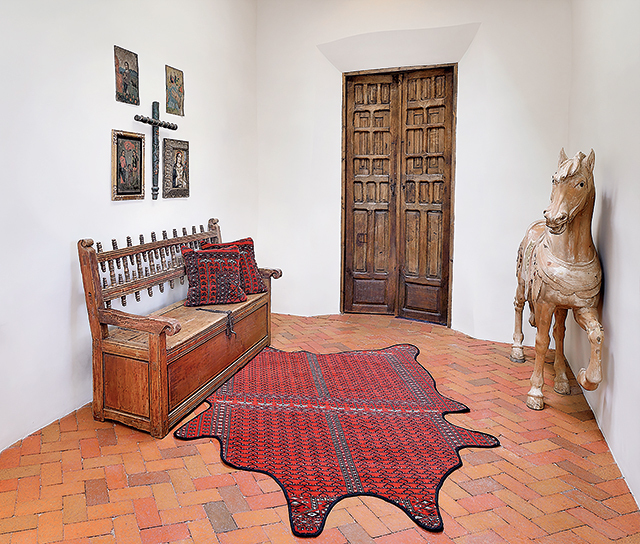 Domada is a newcomer to the upscale rug industry, paving its path with a niche business: cowhide-shaped vintage rugs. Launched earlier this year as an e-commerce business and now expanding into wholesale, Domada sources its products from Morocco, India and Turkey, with more countries currently being explored. Most of its rugs average about 70 years old and feature a range of classic and traditional Oriental designs, and many are one-of-a-kind.